In searching for ways to better locate people living with undiagnosed HIV, Yale researchers found inspiration in an unlikely place: the casino floor. "When you walk into a casino and see a row of slot machines, how do you decide which one to play and when it's time to switch to another? What's the best strategy to maximize your winnings?" said Gregg Gonsalves, assistant professor of epidemiology at the Yale School of Public Health and lead author of a paper published recently in Medical Decision Making. "Mathematicians have created strategies called 'bandit' algorithms to answer these questions—and we've used one of them as the basis for our approach to HIV testing." 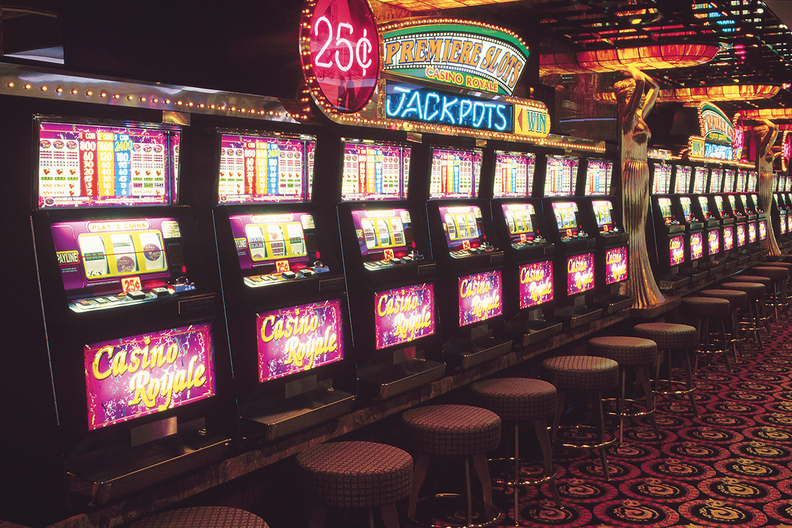 The name "bandit" algorithm is inspired by the slot machine's nickname, the one-armed bandit. Gonsalves' team used a bandit algorithm called Thompson Sampling, which has gamblers making bets based on current information, while constantly collecting information from successes or failures on the slot machine being used. The researchers think this same logic could be used to determine "hot spots" for those with undiagnosed HIV. In a computer simulation, researchers applied the algorithm to different geographic zones targeted for HIV testing. Thompson Sampling was pitted against other strategies, and it found more new HIV cases than the other two methods. Research next will move beyond simulations to test the algorithm in the real world to see if it can help AIDS programs better determine where to test for new HIV cases.